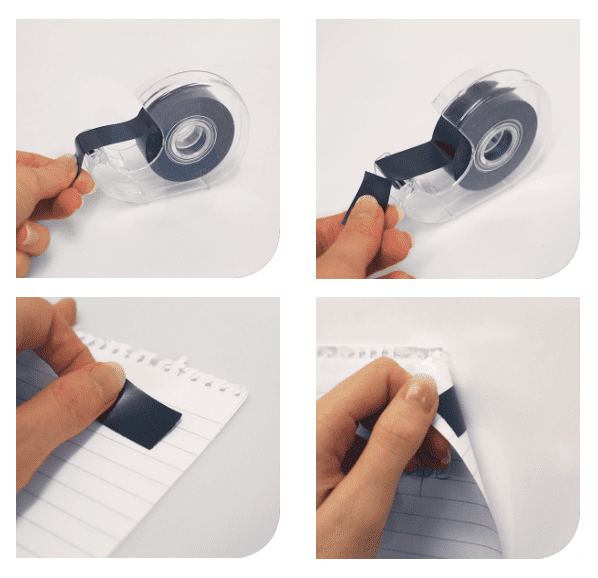 Easy to use desktop magnetic tape dispenser, simply pull out and tear off the length of magnetic tape required – could not be easier. The magnetic tape is self-adhesive backed and is ideal for attaching to-do-lists, reminders to whiteboards or stick the kid’s pictures to the fridge. Each roll has 5m of magnetic tape in an easy to use desktop dispenser! For more information call us at +31 (0) 40 289 30 00 or send an email to mailing@sandersgroup.eu.